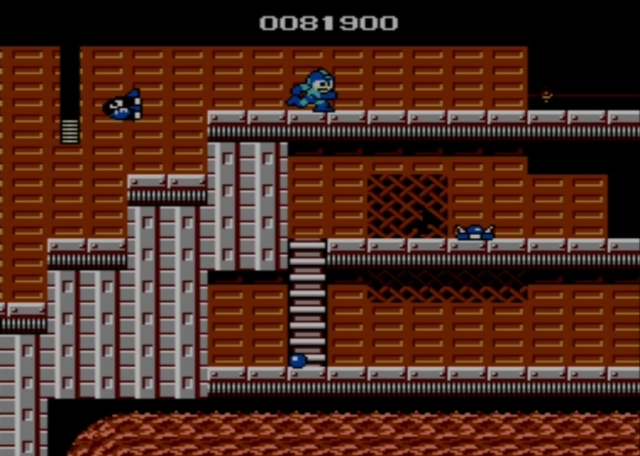 This is another stage that you theoretically could play through first, since its boss is reasonably weak to arm cannon shots, but there's not much reason to do so and it makes a good mini-vacation as your last stop before you invade Dr. Wily's castle. The stage begins you at the lowest level of a triple tier. The only thing lower than your current position is a river of lava that flows through much of the area. So your first order of business is to gain some elevation. Climb the ladder to the right, then head left. 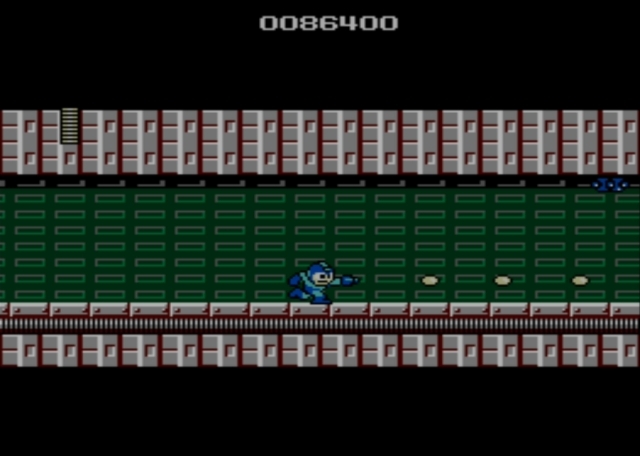 There's a blue enemy that likes to fire spread shots, so take him out with some arm cannon shots if you can, rather than trying to avoid every bullet he fires. Do the same for the blue guys on the upper level, too. 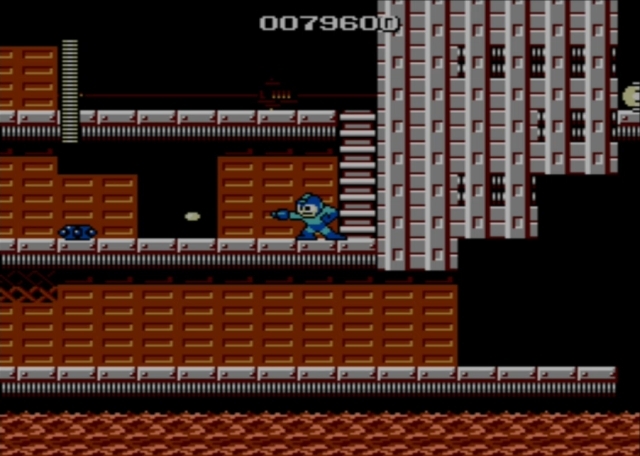 In that direction, you'll quickly reach the right side of the chamber, which mirrors the left side you just cleared. Now you have to descend, rather than ascending, all so you're closer to a fatal drop if the ensuing hazards have their way. As you near the first pit, watch out for a series of three fireballs that launches upward. They will descend again shortly. Meanwhile, to the right, there is a jet that sends a column of flame upward. You can freeze that fire for a bit with your ice beam, if you like. Don't spend too much time on such efforts, though; the fireballs you saw will descend from along the top of the screen, drifting down like flaming ash. They can knock you into the molten soup. Climb the ladder to the right to reach the overhead chamber, where there are more flame geysers. They're located between you and small energy refills. You can make it safer to collect everything using the ice beam or (if you've been careful up until now and don't need the energy) just climb the next ladder into another screen. More flame geysers quickly greet you here. You can again freeze them if you want to ascend to the upper level for some special weapon energy (if you have the ice beam, obviously). Otherwise, just push onward at the lower level. 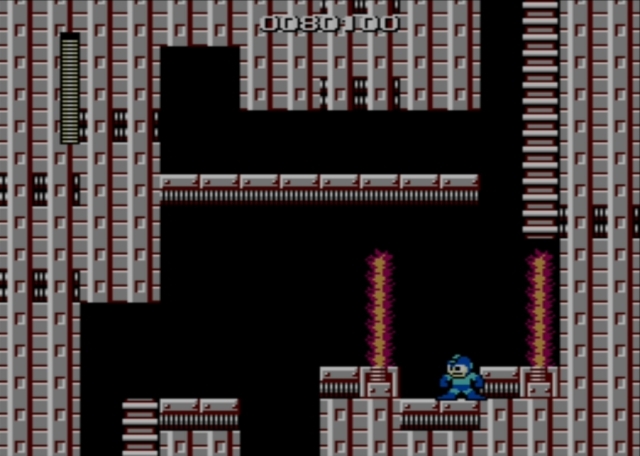 You will find geysers that are oriented horizontally, which makes things more dangerous as you ascend here. Luckily, there are energy capsules near the far right side of the area, just before the ladder you can descend to the lower corridor. Here, you get to worry about more vertical geysers, as well as series of fireballs. 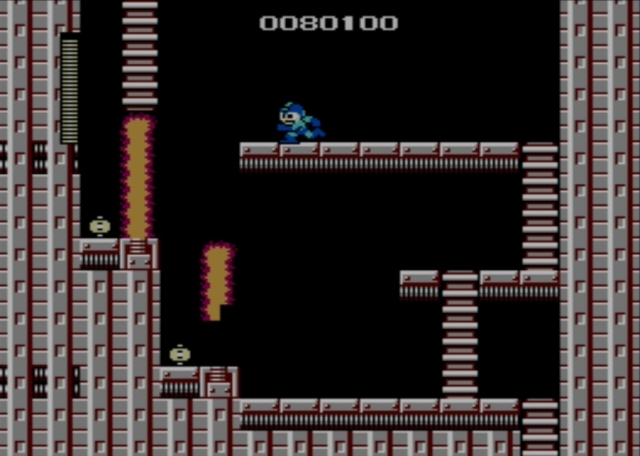 Cross the screen to reach the ladder, then descend it. You now find yourself at a more dangerous second take on the lava river. The ledges are narrower, with more geysers and fireballs, but the process is the same. Until you're comfortable, your progress will likely come in first and starts: wait for fireballs to launch out of a pit, run to the next bit of solid ground, then dodge any fireballs that next descend from above. Repeat. 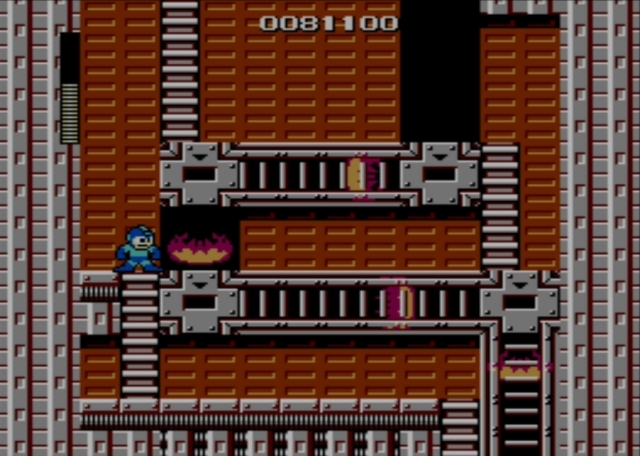 At the far side of that rather wide corridor, you'll find a ladder you can climb into a new room where waves of fire race through some insulated pipes. They follow a predictable path, and you have to dash through some openings to proceed. I haven't found timing that lets me get through without taking damage, though it seems to me you may be able to freeze things a bit with the ice beam, or perhaps use the magnet beam to find an alternate route. Whatever you do, you'll eventually ascend into a new corridor. 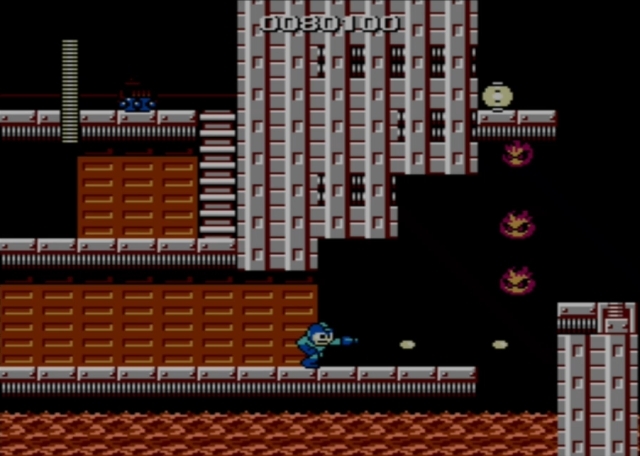 As you start to the right, your approach is enthusiastically greeted by rapidly flying rockets that explode when shot. You've seen their likes before, in other stages. 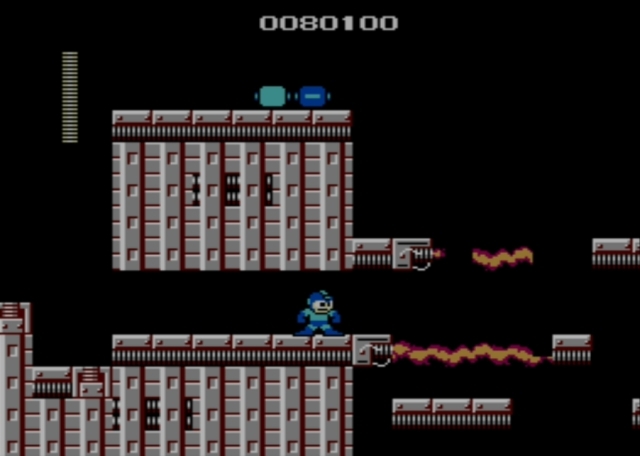 They are joined by the sliding trap enemies, so you need to be careful as you descend along a series of beams that double back on one another before letting you continue to the right at a level low enough you're close to lava again. 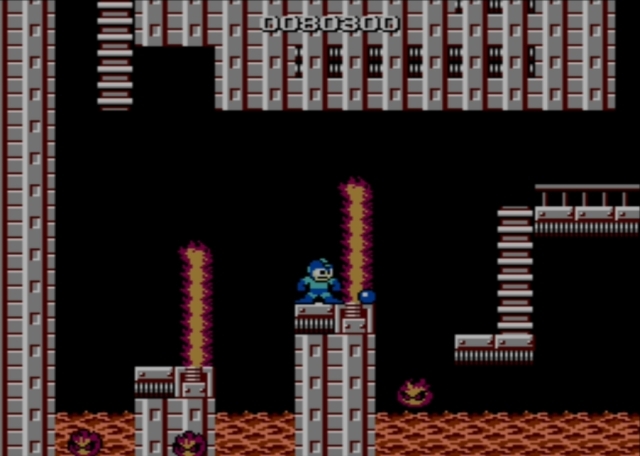 There are more fireballs to worry about as you cross over the last few gaps. Now you will find a flame geyser, ahead of a gate that grants admittance to a long corridor. 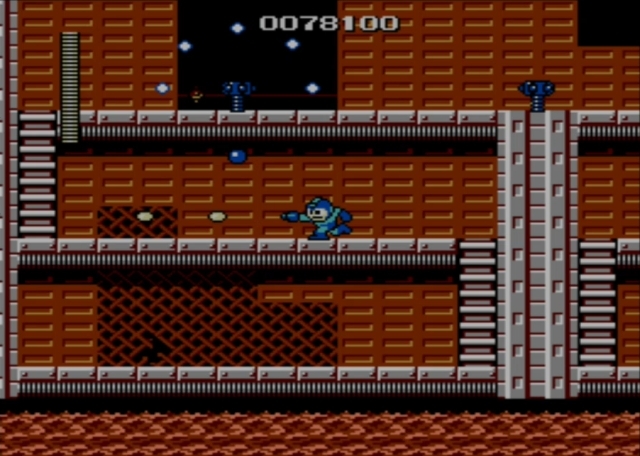 In that corridor, there are several blue enemies positioned along the ceiling. They descend like sprinkler heads when you get close, and fire spread shots. Take them out from a distance and grab any loot they drop, then pass through the next gate for a battle with the region's heavyweight. 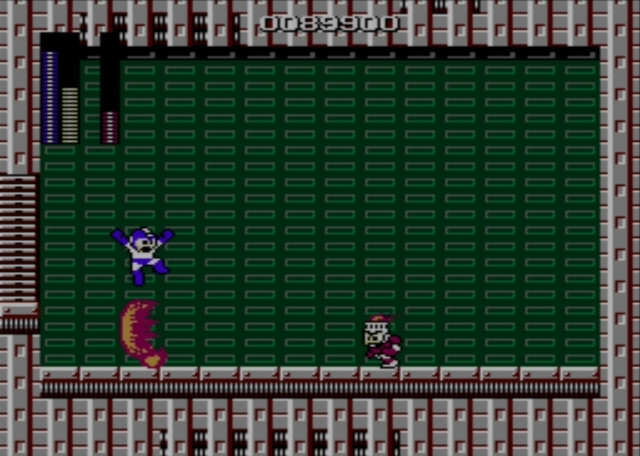 This is unexpectedly one of the easiest boss battles in the game, whether you're "properly" equipped or not. As the battle begins, Fire Man will slowly start heading directly toward you. As he advances, he fires a series of fiery waves. They're difficult to leap over, so don't even try. Just edge slowly toward the right and take the damage head-on. In the meantime, fire shots from your weapon of choice. You can fire the Ice Slasher shot to drain your opponent's life meter more quickly, or the arm cannon if you're not in a particular hurry. Either one will be enough to win the battle for you, as long as you're very slowly eding toward the right and firing a constant barrage of shots. Why do you need to edge forward? That's because sometimes, Fire Man's shots will knock you so that you're facing in the wrong direction. If not for that, you could simply stand where the battle starts and just mash the fire button. Really, it's an easy fight. Savor the moment!